Your iDEA Award questions answered! 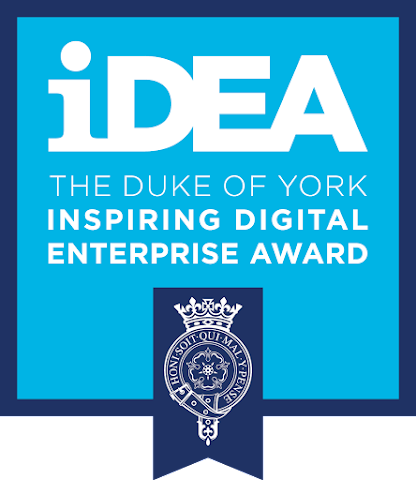 We recently launched our fantastic partnership with iDEA Award, which is backed by the Duke of York and which delivers free expert online training to small businesses across the UK. Last week we hosted a Twitter Q&A with iDEA Award to answer any questions that you may have. Hello iDEA Award! First up – tell us a bit about the Award. Great to be here! iDEA.org.uk helps people develop digital and enterprise skills for free. We have bite-size learning modules which are fun and informative across a range of topics from growth hacking to CRM to staying safe online and setting up on social media. How did iDEA Award get started? What inspired you to launch? We wanted to help enrich the talent pipeline and inspire people to grow in confidence with the digital world. Our home and working lives are powered by tech, so it’s increasingly vital to develop digital skills and confidence to flourish. For businesses, it’s critical. We launched the Bronze (beginner) Award last year and the Silver (intermediate) Award is coming soon. The free online modules each carry points which add up to an industry-endorsed Award. Categories include Citizen, Worker, Maker, Entrepreneur and Gamer. You can pick’n’mix. Is the iDEA Award open to everyone? Can any small business take part? Yes! iDEA is free and flexible to use. Everyone is welcome. You can squeeze learning into your lunch hour and/or help your staff develop skills, knowledge and information to enhance productivity. We have students, apprentices, job seekers, workers and pensioners using iDEA. What sort of things can small businesses learn from the badges on the iDEA Award? How to use social media to find routes to market; digital ethics and hints for using digital media; techniques to optimise your digital research skills; tips for making the most of your team; and useful stuff like making websites, using graphic design and understanding GDPR. We are super excited for the opportunities for small businesses! How have entrepreneurs benefited from the iDEA Award in the past? And we are excited to help! You can be a subject expert and come up with a fantastic product or service, but still lack knowledge, experience and confidence when it comes to operating in the digital world. iDEA helps you gain confidence and skills which can be transformative. iDEA can help you and your staff gain confidence, skills, knowledge and information. You will learn tips and techniques about collaboration tools, money management, problem solving, social selling and teamwork as well as tech topics like cloud computing and internet of things. When and how can I complete my iDEA Award? iDEA badges are designed to be accessible and fun. The Bronze Award badges are beginner level. The numbers of points for each badge helps indicate how difficult they are. It also depends of course on what you know already. Several have downloadable guides you can keep. The badges vary in length and difficulty. The easiest ones can be completed in around ten minutes. The harder ones can take an hour or just over an hour to do. Take a look at our badge directory for more info. How many points do I need for a badge? You need 250 points to win the Bronze Award. You have to earn at least 40 points in each of these categories Citizen, Worker, Maker and Entrepreneur, then you can top up the rest of your points however you like. Your certificate will be dispatched from Buckingham Palace! We have lots of activities planned for the Small Business Saturday and iDEA Award partnership including special events and support for businesses taking part. What would be your one piece of advice for businesses that are interested? Do what works for you and your business. Only you know your strategic objectives and the pressures you and your team juggle. Use iDEA to top up knowledge, refresh your memory, hone skills you already have and develop new ones. Make the most of the programme’s flexible design. Final question: how can I get tech support if I need it? We always recommend people check out our FAQ, which covers the most commonly asked questions. If you are still stuck, the best way is to write to iDEA@royal.uk or use the Contact Us button on the website. Both go into our CRM on a ticketing basis. Thanks to iDEA Award for answering our questions. To find out more about our partnership with iDEA, click here, and to register and get started, click here.